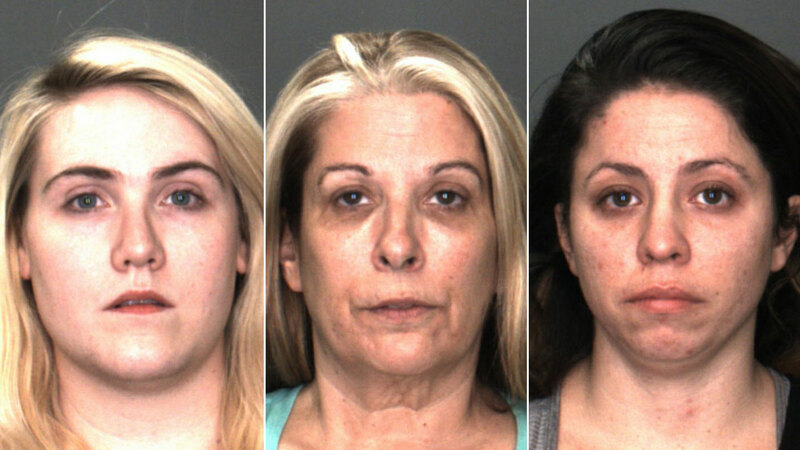 FONTANA, Calif. (KABC) -- Fontana detectives arrested three daycare staff members of a daycare facility in connection to a child who was found unresponsive at the location and later died. Around 10:13 a.m. Tuesday, authorities arrested Sagan Marriott, 27, Rebecca Lutz, 29, and Deborah Jimenez, 52, on suspicion of child endangerment. The arrests stem from an intense investigation into the death of 18-month-old Deacon Morin, who was at the Marriott Family Childcare in October. Deacon was found unresponsive and not breathing. During the investigation, authorities discovered that Marriott and Lutz found Deacon unresponsive, but did not immediately call 911. Instead, they called Jimenez, who authorities said Marriott and Lutz worked for. The two women did not call 911 until Jimenez arrived at the daycare center, authorities said. Authorities said Jimenez owns Little Impressions Daycare and Learning Center which was also known as Jimenez Family Childcare. Danielle Morin, Deacon's mother, said the daycare staff told her that an amber teething necklace her son was wearing strangled him during a nap. He was taken to a hospital in critical condition and was taken off life support a few days later. Authorities said the Marriott facility was licensed by the state to allow no more than four infants at the place at any time. But on the day Deacon was found unresponsive, there were six infants and at least 12 other children at the facility. The daycare center was "grossly over capacity" because of the high number of children present, authorities said. Detectives added that daycare staff exceeded licensing regulations more than four times, leading to safety concerns for the children under their care. Authorities also said Jimenez regularly sent children to the Marriott facility, contributing to the overcrowding at the daycare. The cause of Deacon's death has not been determined. The case remains under investigation. Authorities said anyone with more information was urged to call Detective Guith at (909) 350-7723.